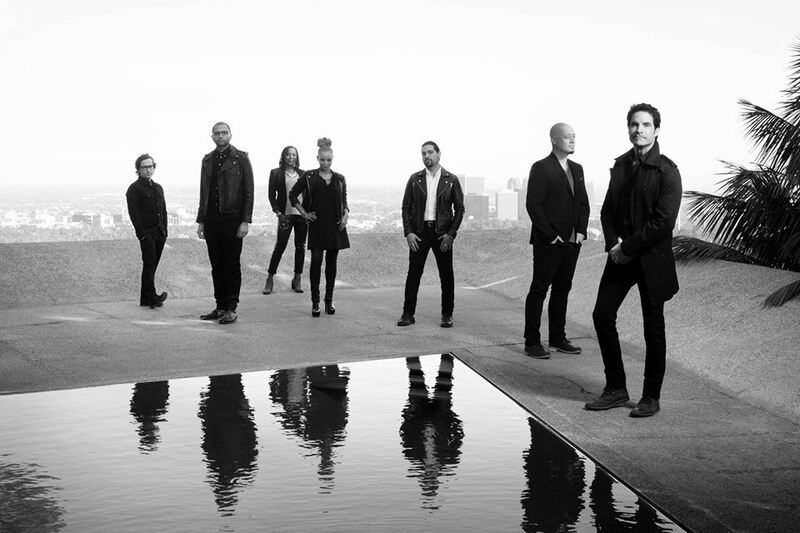 American band Train are perhaps best known to country fans through their successful collaborations with artists such as Martina McBride and Ashley Monroe. If you have never listened to Train I would recommend that you change this with their seventh studio album Bulletproof Picasso. Set for release tomorrow, September 16th in the US and internationally (out today in the UK), the album includes twelve tracks, each of which co-written by lead vocalist Pat Monahan. This album is an undoubtedly impressive showcase and is littered with some great tracks. Listeners will also hear different influences through the album, one of the best tracks being the soul infused The Bridge. From the solid, punchy drum beat throughout to the backing vocals the track works well. Fans of Train will hear echoes of the usual sound and also be pleasantly surprised by how well this track works. Great production that makes me think it must be a great track to hear live! The Bruce Springsteen-esque I'm Drinkin' Tonight isn't one of my favourites as it doesn't seem to work as well as the other tracks overall however I can appreciate that it adds another dynamic to the album. Wonder What You're Doing For The Rest Of Your Life also adds to the soul feel. The album's lead single, Angel In Blue Jeans, was released on June 9th and serves as a good stepping stone from their last album's final single Mermaid. Still holding on to the eponymous Train sound, the track progresses from an almost haunting opening with acoustic guitar and soft lead vocals and builds with hand claps, electric guitar and drums amongst others. Train often produce very catchy melodies and this track is no exception. I also really liked Son Of A Prison Guard. The almost military style drumming sets a strong, steady pace throughout, becoming more noticeable in the verses. The reoccurring whistling hook sets the track up well and the melody is also occasionally featured on other instruments. The album's title track has a reoccurring piano hook that serves to lighten what would otherwise be quite a heavy instrumentalisation. Lines such as "we don't need a reason for anything we feel" sum up the overall track well. Yet again, Train deliver another catchy track that I am sure will become a strong favourite of many listeners with it's upbeat melody and strong lyrics. In my opinion this album far surpasses 2012's release California 37. Whilst there are various influences throughout the album fans will still hear the typical Train sound in tracks such as Bulletproof Picasso and I Will Remember. It is nice to hear an album where it doesn't feel as if there are any 'filler' tracks, each track develops and the production has clearly been thought through. I'd definitely recommend this album, Train are one of the only non-country acts I follow and they continue to impress! You can find a short list of Train's upcoming tour dates on their website here. They are also set to announce a UK tour by the end of the month. I am sure this album will be great to hear live!